Managing your personal life can be tough at times, but it’s nothing compared to the struggles you will experience while managing your life as a business owner. Every business owner must have numerous accounts to serve different purposes, especially with the holiday season coming up, special projects and promotions should be planned ahead of time. Because of this, password management can get messy when there are different departments working on the same project. Therefore, having a reliable password manager can be extremely helpful and useful for your company. A password manager is like a genie that memorizes all your passwords and keeps track of all the online accounts for you. Whenever you need to log in to your accounts, your login and password are already inputted for you before you know it. Here are some useful password management apps that will enable you to work more efficiently and productive whether you’re in your office at home, or even while waiting in line for your coffee at Starbucks. This app is free for both desktop and mobile use and it only costs $12/year for unlimited mobile access. 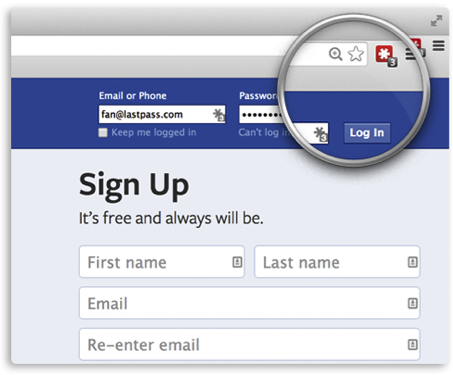 Lastpass features include hassle-free auto login, centralized data as you create/ login in for the first time, shared access for authorized accounts, streamlined online shopping, and strong password generation. This app saves you time by allowing you to pass login information within various departmnts while protecting the accounts’ privacy by not having the password physically available since users will be able to automatically sign in with shared access. This app will definitely ease the pain of password management, especially if your office involves a lot of personnel. This app is free for both Chrome and Android, and it can be purchased for $11.99 for unlimited mobile access for Apple. PasswordBox features include hassle-free, no-type login, streamlined checkout, and strong password generation. Besides those features, what makes this app more personal is its Legacy Locker. By selecting your loved ones as the legacy locker, he/she will have full access to your passwords and will help keep your accounts alive or redeem leftover rewards points after you are in an eternal sleep. Along with managing your various passwords, this app can also be considered a digital wallet and the key to your secret notes. This app is free for both desktop and mobile use at a cost of $39.99 for the premium version. Passwordbox features include strong security, simple sharing, and control over data storage. One of the features that stood out from the crowd is the auto recipe saving and screenshot of the purchase. As a business owner, there will be times that you need to purchase office supplies or equipment, it is important to keep track of the receipt and transaction information, and Dashlane will automatically save it in the system for you. This app will be your best asset, especially if you have a large number of transactions on a daily basis. 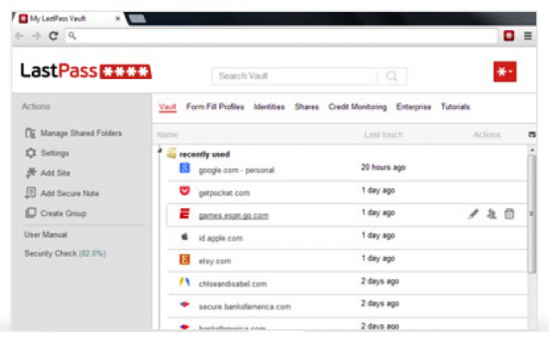 Although these password managers all have similar features, we personally recommend Lastpass for company use and PasswordBox for more personal accounts such as Facebook, Netfix, Amazon, eBay, etc. As for Dashlane, this app emphasizes more on ecommerce transaction organization. Choose the app that bests fits your business and needs so that managing your passwords can be easier than ever before!